Originally known as Atlanta Graveyard or City Burial Place, Oakland Cemetery provides body bags of Atlanta history with just an afternoon stroll. 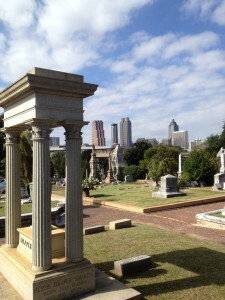 With a compact garden layout and faraway downtown skyscrapers echoing the opulent mausoleums and weathered headstones, it is quite possibly the most scenic historic cemetery in the country. In honor of Halloween we paid a visit to Oakland Cemetery, taking a few pictures and learning a little history. Of course, we decided to share… Happy Halloween from History Atlanta! 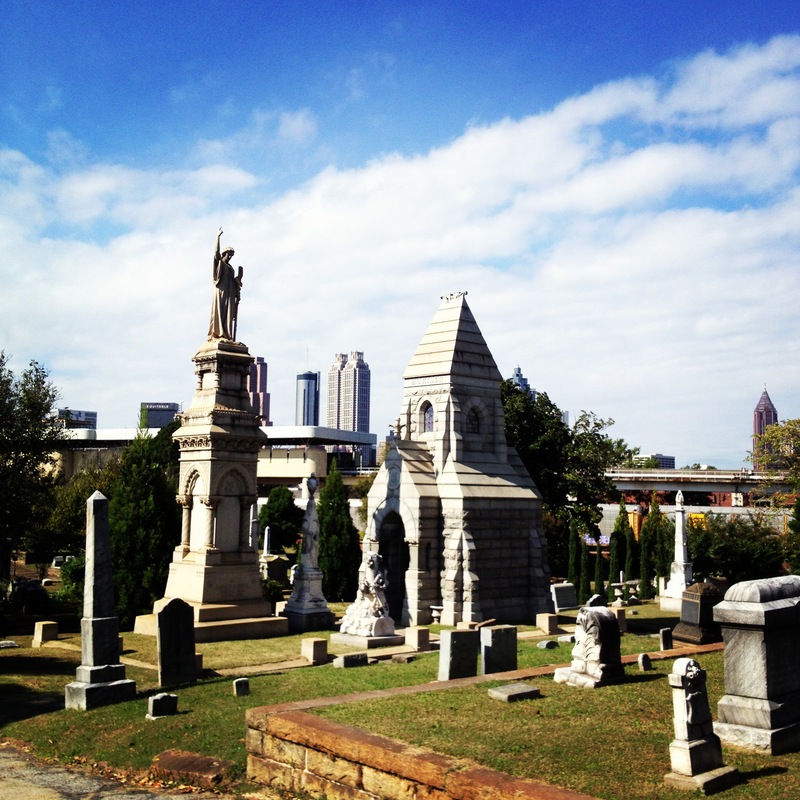 Atlanta city officials first purchased six acres for a city cemetery in 1850, and through time the cemetery expanded to 48 acres. The first burial quickly followed after the initial purchase. 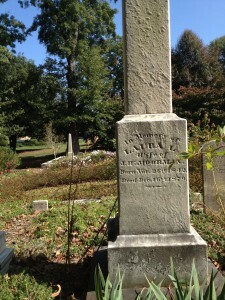 Dr. James Nissen died in 1850, and his gravestone is located near the front gate. 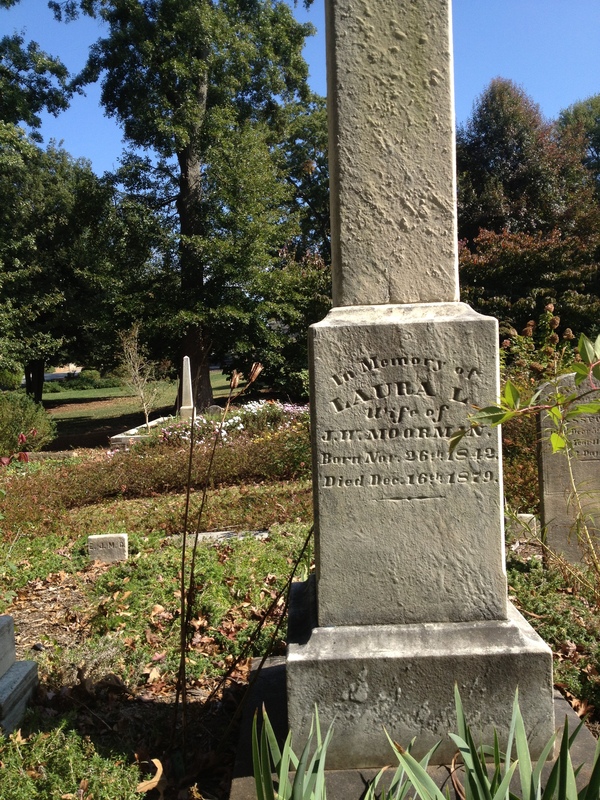 City officials achieved cemetery growth by purchasing surrounding properties, such as the residence of former Atlanta Mayor James E. Williams (1866-1868), thus incorporating various nearby structures, such as cotton mills. The first expansion occurred in 1857, with additional expansions of land in 1864, 1866, 1867 and most recently in 2007. 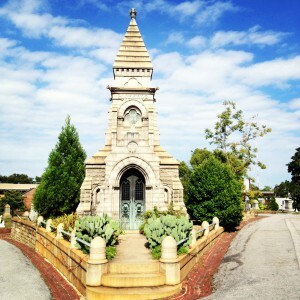 View a Map of the Historical Development of Oakland Cemetery here. When entering the front gate you might become confused; the keystone overhead carries the inscription 1896. This date is the year Atlanta built the gate and walls, not the cemetery itself, and sometimes confuses visitors. The name was changed to Oakland Cemetery to reflect the many trees that grow on the rolling site in 1872. Oakland is a garden cemetery, designed to allow family members and friends a scenic and beautiful setting to visit their loved ones. Following the design of Mount Auburn Cemetery in Massachusetts established in 1831, these early garden cemeteries were the first American burial grounds that stood alone, far from a church or residence, placed away from the city in a rural area. Up to this point in history European settlers in America were typically buried in dark and creepy church graveyards or maybe in isolated family burial grounds. Not inviting places to visit. 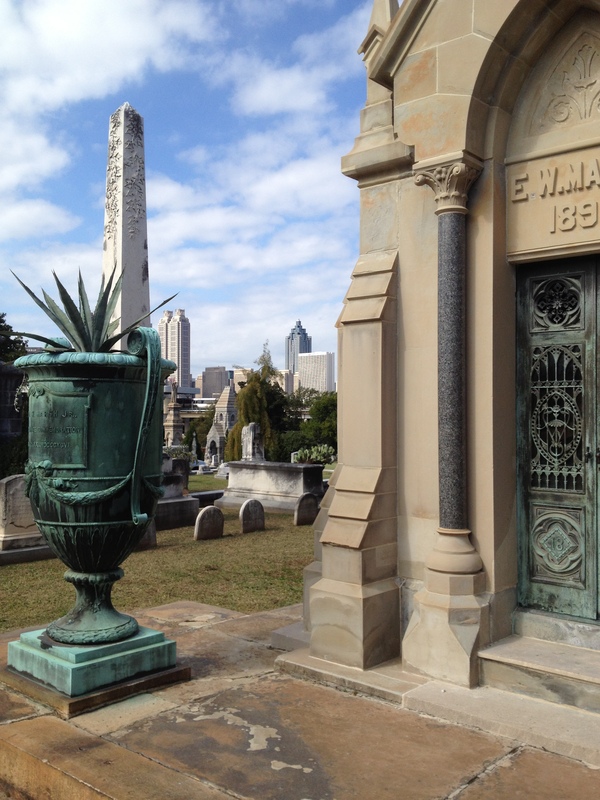 Mount Auburn is considered the first in America, and these new garden cemeteries in the 1800’s honored death with gravestones and mausoleums inspired by Greek and Egyptian cultures. Marble and limestone monuments were surrounded by green plots of flowers and exotic plants (removed to a greenhouse during winter) maintained by descendants and relatives. 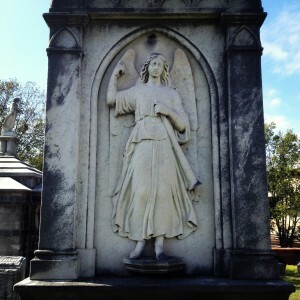 By the time the last burial plot was sold in 1884, Victorian Era families were visiting Oakland Cemetery for picnics. The cemetery had an appearance of a large, well-maintained garden. Today more than 70,000 people are buried in Oakland Cemetery, and while plots are not available for sale, burials still occur. Historic names from Atlanta history found here include golfer Bobby Jones, novelist Margaret Mitchell Marsh, the first mayor of Atlanta Moses Formwalt and the first African American mayor of Atlanta Maynard Jackson. 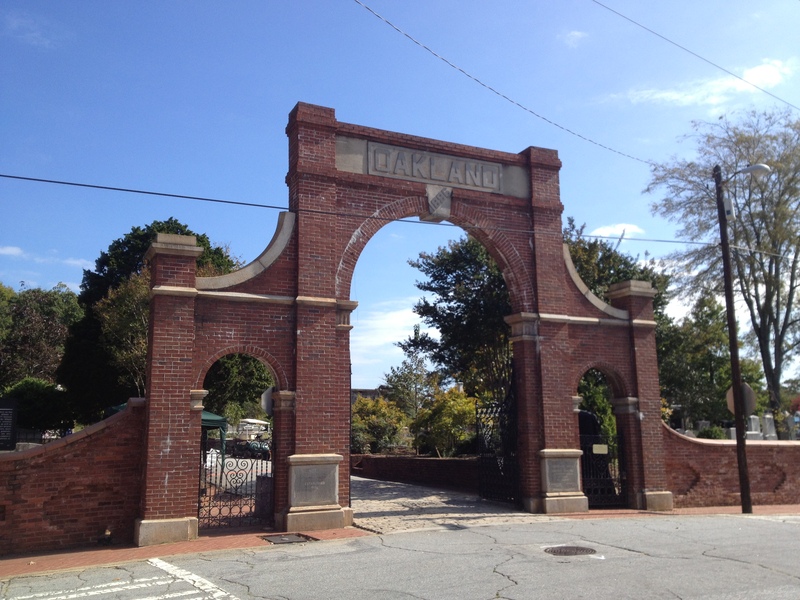 The history of Atlanta can be seen quite literally at Oakland. 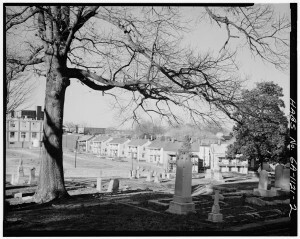 In 1852 the Atlanta City Council ruled that African American burials could occur at Oakland in a designated section in the eastern part of the cemetery. By the Civil War 869 African Americans had been buried in this segregated section, all of them slaves, and nearly 60% of them children. 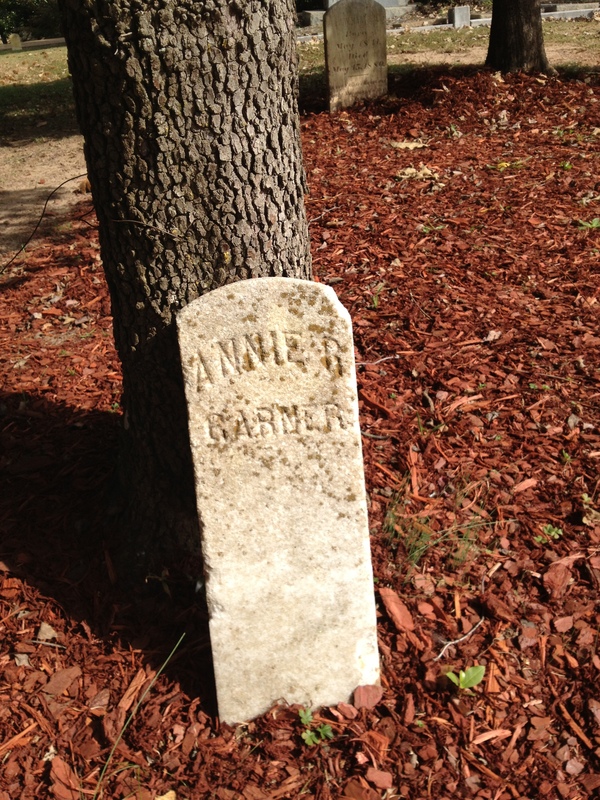 This reflects white Atlanta’s relationship with the African American community in the Antebellum Era. Before the Civil War, Atlanta city ordinances required hefty registration fees for African Americans moving into the city (some sources say the fee was an initial $200 to register, and then a yearly tax on top of regular taxes); a white guardian had to present a request for residence to the city council, and these requests were quite often rejected. One study suggests this created a free African American community in Atlanta that was transient, with individuals rarely staying more than a few years. 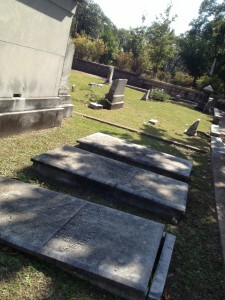 So it makes sense a vast majority of the African American graves before the Civil War would be those of slaves. It was the only way most white people in Atlanta interacted with the African American community. If you visit Oakland don’t expect to find this old African American slave section still intact. Between 1877 and 1878 the cemetery unearthed these graves, tilled the ground and sold the land to white families. Today the African American bodies that were in the original section now reside in Potter’s Field, 7.5 acres that holds 17,000 unidentified people on the northern edge of the current cemetery. The original six acres does hold a Jewish section. In comparison to the African American section, this old Jewish section is still intact. The Hebrew Benevolent Congregation in Atlanta even purchased more space in 1878 and 1892, providing a timeline of Atlanta Jewish history. And when it comes to Civil War history, this is certainly a hot spot. The large Confederate section holds 6,900 soldiers, mostly from the defense of Atlanta and the advance of General Sherman. Some were buried initially in Oakland, while others were moved to Oakland from military grave sites near battlegrounds in surrounding areas. Nearly 3,000 of these confederate soldiers are unidentified. 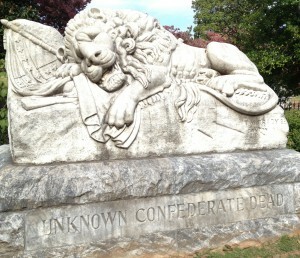 This section features impressive monuments, such as the Lion of the Confederacy and the Confederate Obelisk, a 65-foot behemoth made from Stone Mountain granite. 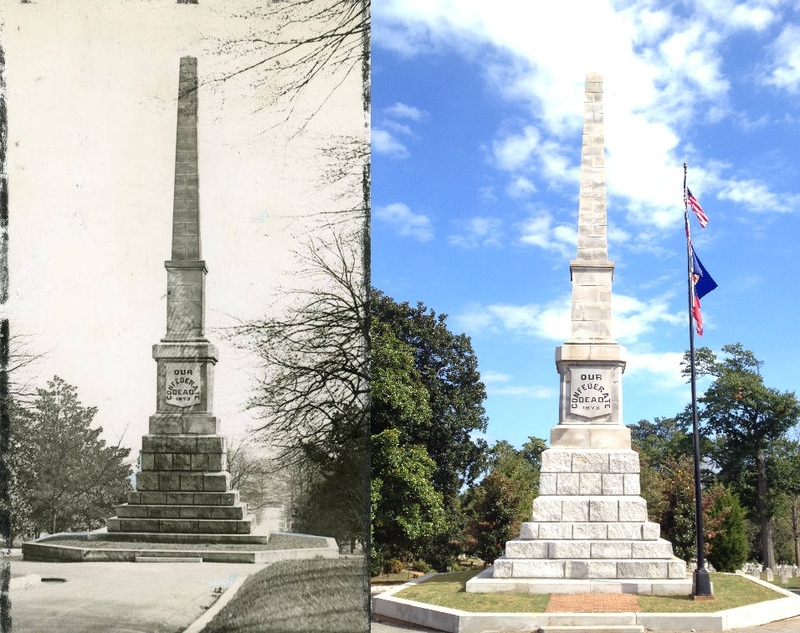 The obelisk was constructed in 1874 to honor the dead from the war and for many years was the tallest structure in Atlanta. 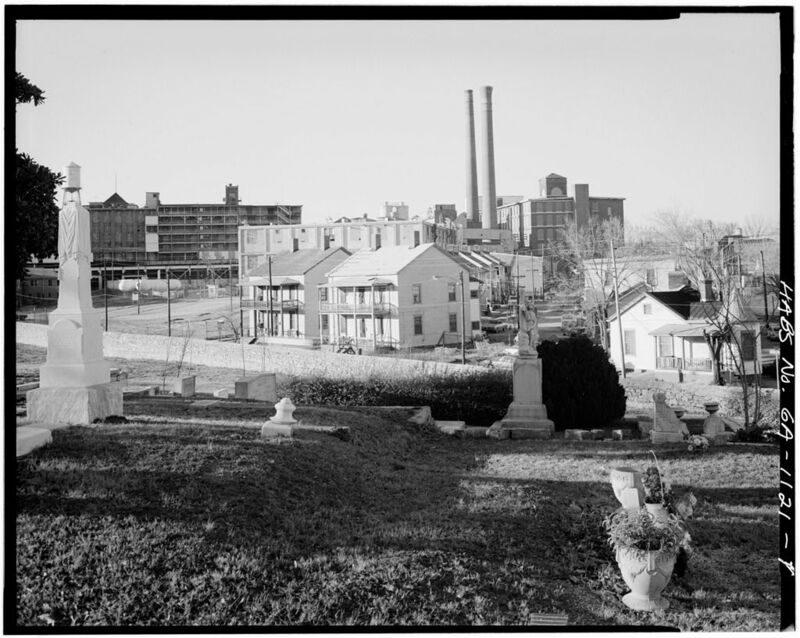 Through neglect, weather damage and vandalism, Oakland Cemetery fell into disrepair throughout the 20th century. By the mid 1970’s the former rural garden cemetery built in the 1850’s was smack in the middle of one of America’s fastest growing cities. Something had to be done to preserve this piece of Atlanta history. On April 28th, 1976, Oakland Cemetery was added to the National Register of Historic Places, and the Historic Oakland Foundation was created to maintain and restore this relic of Atlanta history to its former glory. 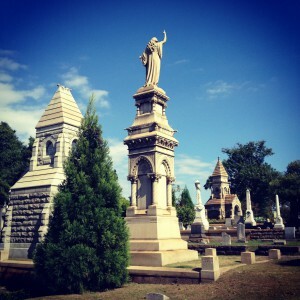 To plan your visit to Oakland Cemetery, view Plan Your Visit here. 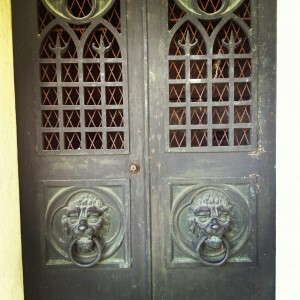 They offer tours, a visitor’s center and various events throughout the year, including night tours of the cemetery during the Halloween season. 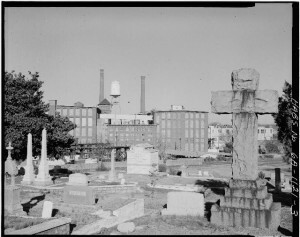 Their website also offers information about the history and current preservation efforts; view the Oakland Cemetery website here. Did you know? There are 16 Union soldiers buried in Oakland Cemetery. Did you know? General John B. Hood witnessed the Battle of Atlanta on July 22nd, 1864 from one of the hills in what is now Oakland Cemetery. Did you know? During the Civil War a group of Union soldiers disguised themselves and infiltrated confederate Atlanta, stealing a train and racing north to Chattanooga, inflicting damage upon the railway as they traveled north. What followed was the Great Locomotive Chase, and eventually most of the Union soldiers were captured. 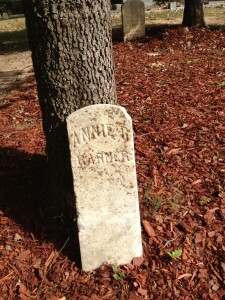 Seven of these Andrew’s Raiders were hanged in Oakland Cemetery in June of 1862. Did you know? 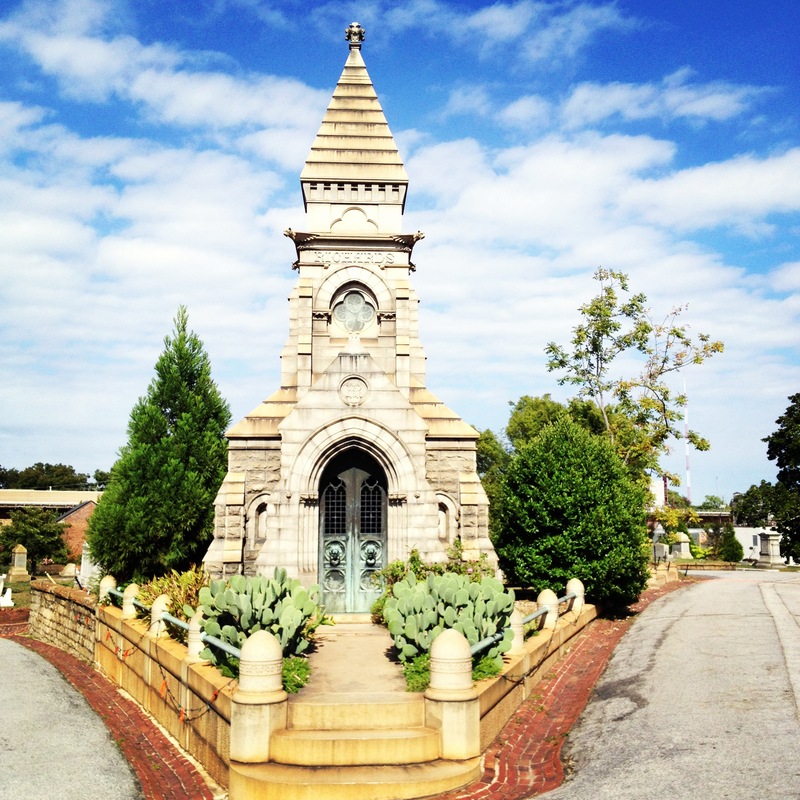 The Austell Mausoleum cost $90,000 to build in the 1880’s. 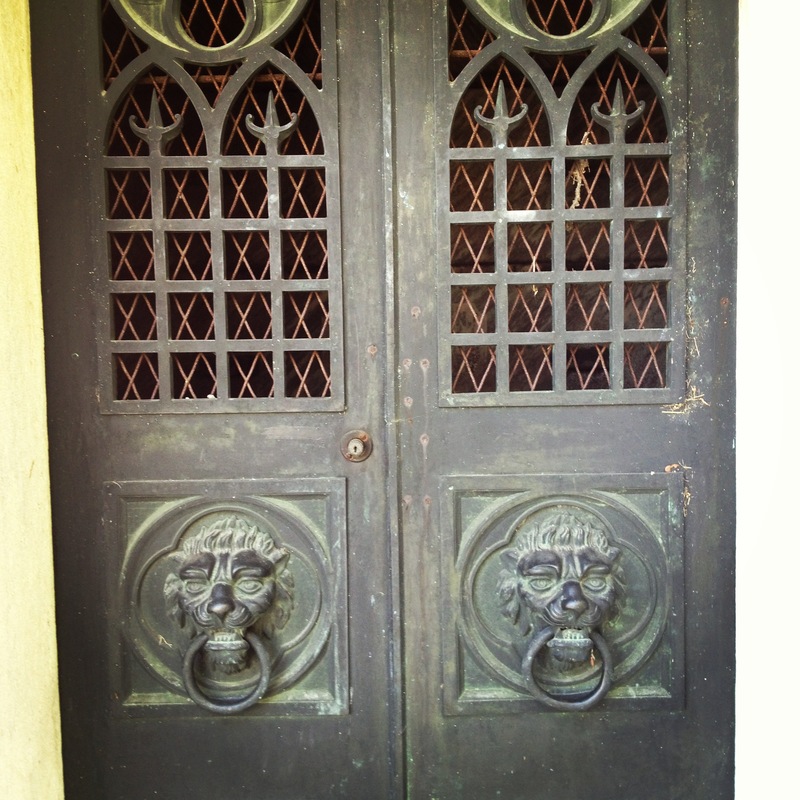 If built in 2013 this Gothic Revival Style mausoleum would cost nearly $3.5 million. Did you know? Oakland Cemetery displays one of the original gas street lamps installed by William Helme’s Atlanta Gas Light Company for the city in 1855 (there were 50 first installed; read about Atlanta’s first street lamps here). Ask for directions at the visitors center.